Which is a better textbook - Dugundji or Munkres? I'm concerned with clarity of exposition and explanation of motivation, etc. Try Simmons, Introduction to Topology and Modern Analysis. I think Munkres' is a great book, though you can safely skip some sophisticated counter-examples in it. Janick's "Topology" is more intuitive, less technical or just less narrowly focused on the specific subject of Topology -so it links to other parts of mathematics. But I've never dared to base my lectures on it, precisely because elementary Topology can be explained on its own, out of the blue, without assuming any previous knowledge at all, whereas mixing it with Differential Geometry, for instance, can be more confusing than useful for undergraduate students. Nevertheless, Janick's book has some masterpieces; for instance, the proof of Urysohn's lemma: the first time I read it I realised that there are people in this world who actually understand maths, and others, well... we just repeat, more or less succesfully, what we have learnt (or so we hope). The same proof in Munkres' simply doesn't compare. As for Dugundji, it's a great book, but nowadays it seems to me much too difficult for undergraduate students. Sutherland's Metric and topological spaces is nice. I know a guy who swears by Kelley's General topology but I've not read it myself. As BBischof says: Willard is nice. I also learned a lot from Mendelson, a little dover book. I think that you should use whatever gets you through the subject "quickest". Point Set topology is now just basic language that is very necessary, but it seems there is not much research in the field. My dad did not go into math because of a course out of munkres, he had no intuition for the topic the way it was taught. I dont see this as a criticism of Munkres because I think one of the major goals of any early course is to untrain the student. There are spaces that are pathological that you have to deal with. You have to be rigorous. I think that is one of the main points of such a course, that and preparing the student for what comes next. Which is why mariano asks what your goals are. One thing about willard though is that you should make sure you do the exercises, they contain key facts! Edit: I felt it pertinent to add that I did go through a course from munkres (by the time I did it was pointless for me, I had already been using the relevant stuff for my field daily) and it was quite well done I thought. It is the classic, I don't think you can go wrong with it. I would like to recommend Topology: Pure and Applied, by Colin Adams and Robert Franzosa. Anyone familiar with Colin Adams's The Knot Book will expect this to be equally accessible. And they will not be disappointed. In terms of your criteria—clarity and motivation—I find it unsurpassed. I learned point-set topology from Munkres and absolutely loved it. It is probably one of the most worn books I own. For an introduction to topology with a more geometric/algebraic feel to it, I highly reccommend John M. Lee's Introduction to Topological Manifolds. He provides sufficient, but no more, point-set topology to support the algebraic developments. His proofs are very clear and on par with Munkres in this regard. I own almost every one of the mentioned texts, as I am very interested in topology (as a basic foundation for all analysis, including as it does a healthy dose of set theory), and because I am self taught (PhD EE, but Math pursuits well beyond). I have made Dugundji my bible for topology (some other bibles: Loeve, Gantmacher, Yosida, Riesz-Nagy, Dunford and Schwartz). It contains a huge amount of material, but the exposition makes it possible to digest, being nourished and fulfilled, without reading each fine print passage (on a first or second pass). On the other hand, for point set topology, and a good deal of well-motivated, well-presented material that might usually be relegated to algebraic topology (such as Brower's Theorem, Schauder's extension, and Tychonoff's bridge between them), Dugundji is encyclopedic. Once you have read it three times, you get to love it, and you learn more with each pass. The other books mentioned are all excellent, but not as complete, in my opinion. (Qualifier: Dugundji is not a primary source for algebraic topology.) For one small example, the characterization of identification maps in Dugundji is one level above that given in most other sources. (See the sources, especially Dugundji's theorem VI.3.1. Compare it with similar theorems in other sources: Kelly gives only the implication in one direction, Dugundji's is an "iff" statement. I believe Munkres' is too (not on hand to verify, going by memory)). So, in a nutshell, if you are a topologist, Dugundji is great. If you want to learn all the topology you will likely ever need as, for example, an engineer, Munkres is significantly more user friendly and probably enough. My favorites are, in order, Dugundji, Kelly, Munkres. Willard and Simmons are not as easy to parse, I find. But that could also be because I found them later in my studies and was already on my 4th passes of the others. Also noteworthy are the books by Hausdorf (Set Theory) and Sierpinski (Topology). These are the master's! Finally, as an aside, the book "Introduction to Boolean Algebras" by Givant and Halmos (how could it not be excellent??) 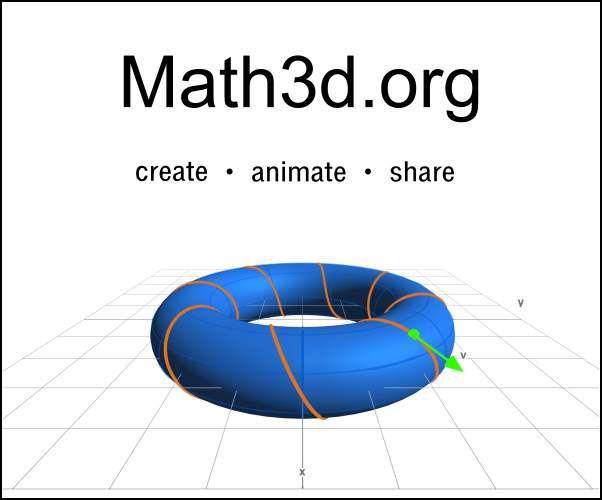 is a beautiful collateral read if you study topology. It contains interesting cross fertilization and disciplines the mind in a useful way for studying rigorous mathematics, a la Dugundji! Not the answer you're looking for? Browse other questions tagged general-topology reference-request soft-question book-recommendation or ask your own question. Seeking Textbook Introducing Taylor's Theorem for Multivariable Functions, Using Vectors and Hessians, etc.